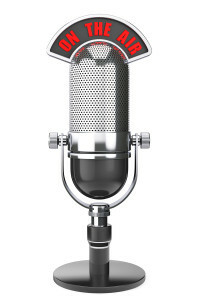 Airtime Media gets your name out to potential customers using custom-designed radio advertising lead generation. Whether you’re a business owner or the manager of a national call center, if you’re looking for a guaranteed increase in ROI, our services are for you. Our team will work with you to learn your objectives and develop a performance-based plan that will get you the best leads for your business. This can include a variety of methods, depending on your preferences, such as email leads, pre-screened call center leads or leads from a direct phone call. At Airtime Media, we do things differently. Aside from creating every ad in-house, what sets us apart is that our clients actually get to speak with the man making the decisions, president and founder, Abe Tatosian. Bottom line, we’re more accessible, more approachable and a total turnkey service. To learn more about our turnkey radio advertising lead generation, call Airtime Media today at (888) 373-8463. We look forward to helping your business grow.